Bed And Breakfast10 sq. ft. 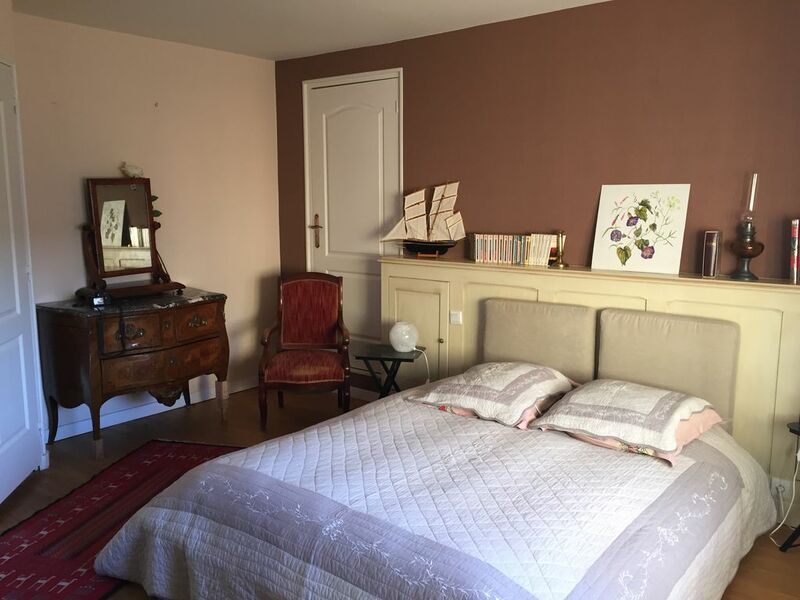 In a beautiful silk factory in the heart of the village of Laudun located in the middle of vineyards and olive trees, not suffering from any vis-à-vis, with access to the garden, terrace and pool (10mx5m) shared with the owners, bed and breakfast two people 26 m2, private bathroom with shower, and toilet. Room with fitted units and a wardrobe for clothes and a little secretary. Breakfast is served in the dining room or on the terrace when the weather permits. Arrivals can achieve between 16 h and 19 h. Departures are before 11am. However, other options are possible if necessary. Respect the hardware facilities and environment. The pool is open from 9 am to 21 pm. Good citizenship and proper attire are requested. From 22 H, please be kind enough not to make too much noise to respect the rest of the other hosts. For longer stays, bed linen is changed weekly and towels twice a week. We are located 10 minutes from Bagnols / Cèze, 30 minutes from Avignon (including the Avignon Festival in July), 15 minutes from Orange, 20 minutes from Uzes, 20 minutes from Pont du Gard, 45 minutes from Nimes, 20 minutes from the valley of Cèze and 1 hour from the sea. Opportunities to hike by bike or on foot, many trails are marked, the countryside is beautiful. In the village, tennis courts available. INTERESTS We are located 10 minutes from Bagnols / Cèze, 30 minutes from Avignon (including the Avignon Festival in July), 15 minutes from Orange, 20 minutes from Uzes, 20 minutes from Pont du Gard, 45 minutes from Nimes, 20 minutes from the Cèze valley and 95 km from the sea at Saintes-Maries-de-la-Mer. Opportunities to hike by bike or on foot, many trails are marked, the countryside is beautiful. In the village tennis courts available. Laudun Provençal market on Sunday morning.